Over a dozen monitors are expected to be hired to check the removal process of asbestos in Telstra pits prior to handing a report into the independent Asbestos Taskforce. This initiative was formed in conjunction with the IAT, will ensure that work on the NBN rollout where asbestos is a risk, is handing in a safe manner that safeguards employees, contractors, and the local community. The taskforce launched by Australian Government in June to in response to the asbestos scare caused during the Telstra NBN Rollout. 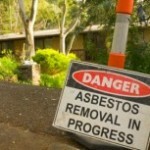 Asbestos training is being provided to all Telstra employees. Any personnel working in Telstra pits will be properly trained in asbestos removal and handling of asbestos-containing materials. Telstra and NBN Co have also confirmed that they are close to releasing their competency card that employees, contractors and subcontractors will have to keep on their persons in order certify they are fully trained. All work on pits with asbestos risks present, will continue once the training has been completed. 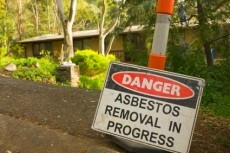 The taskforce has come together on several occasions, and is headed by Geoff Fary (Chair, Asbestos Management Review). The taskforce’s membership includes representatives from Telstra, NBN Co, the Asbestos Safety and Eradication Agency (ASEA), Comcare, industry unions, asbestos community groups and WHS experts.